Did you know that vegetables can taste great? The new delicious collection of recipes by Moskowitz and Romero make it easier and tastier to live the life of a vegan. There are as many as 250 recipes of vegetarian food as well as menus and stunning pictures of dishes that are sure to satisfy every palate. All the recipes have been tested out in the kitchen and the results are amazing and user friendly. Due to the popular demand the meals that are shown in Veganomicon include meals for all occasions like low fat options or soy free, gluten free recipes including quick recipes that make dinner happen in a snap. Some of the popular recipes include Autumn Latkes, Grilled Yuca Tortillas Baby Bok Choy with Crispy Shallots, Samosa Stuffed Baked Potatoes, Chile-Cornmeal Crusted Tofu, Spinach Muffuletta Jicama-Watercress-Avocado Salad, Po’ Boy Roasted Eggplant, Pear Adzuki Soup, Lemongrass Risotto, Tomato Rice Soup with Roasted Garlic along with Navy Beans Asparagus, Hot Sauce-Glazed Tempeh, Almost All-American Seitan Pot Pie Black Eyed Pea, Chocolate Hazelnut Biscotti Pumpkin Crumb Cake, Collard Rolls and Pecan Streusel. Isa Chandra Moskowitz is the most popular vegan chef in America. 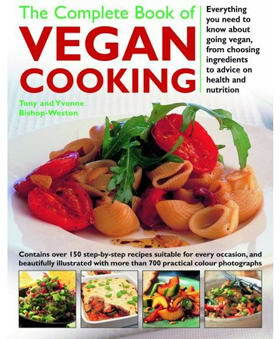 She has authored the book Vegan with a Vengeance, which won PETA’s Proggy Award for Best Cookbook 2006. She and Terry Hope Romero have co-authored Vegan Cupcakes Take Over the World. They have won the VegNews’ Veggie Award for Best New Cookbook. Isa and Terry have co-hosted the public access or the podcast vegan cooking show The Post Punk Kitchen since 2003. Their home is in New York.